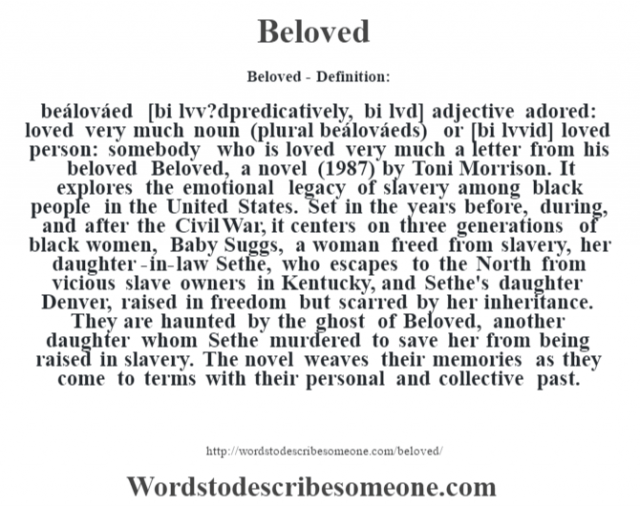 beálováed [bi lvv?dpredicatively, bi lvd] adjective adored: loved very much noun (plural beálováeds) or [bi lvvid] loved person: somebody who is loved very much a letter from his beloved Beloved, a novel (1987) by Toni Morrison. It explores the emotional legacy of slavery among black people in the United States. Set in the years before, during, and after the Civil War, it centers on three generations of black women, Baby Suggs, a woman freed from slavery, her daughter-in-law Sethe, who escapes to the North from vicious slave owners in Kentucky, and Sethe’s daughter Denver, raised in freedom but scarred by her inheritance. 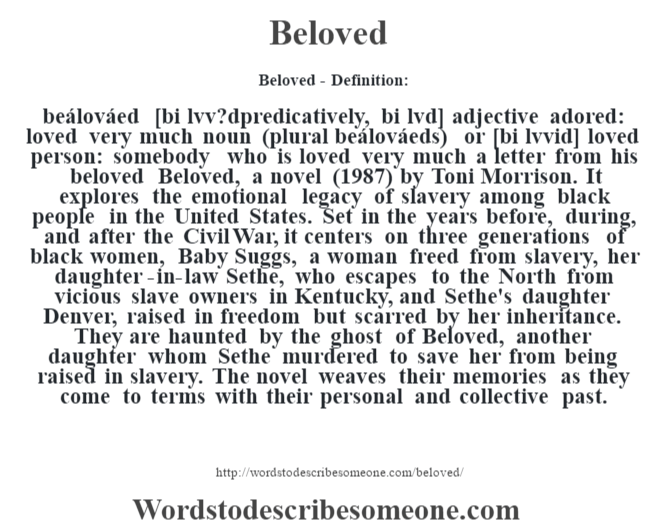 They are haunted by the ghost of Beloved, another daughter whom Sethe murdered to save her from being raised in slavery. The novel weaves their memories as they come to terms with their personal and collective past.